Google changes as often as the latest clothing trend. It’s in one day, and out the next. It can feel pretty overwhelming to keep up with all the changes to Google policies, algorithms, and so on. Specifically in 2016, Google made a number of changes affecting Search Engine Optimization, or SEO. For the most part, Google makes changes to prevent spammers from getting ahead, to protect the integrity of organic searches, and to reward companies for handling their SEO the right way. Remember when that right sidebar used to be filled with ads? Not anymore! In late February, Google started rolling out a new layout, which removed AdWords ads on that side of the page. As a trade-off, Google did add in another ad space in the top portion of the page. While there was some concern removing these ads would negatively impact SEO, early research suggested the impact of the change was pretty minor. We were just barely in to the 2016 calendar year when Google announced Panda was now part of the core ranking algorithm. Essentially, Panda takes quality of posts into account – and adjusts rankings accordingly. Having a mobile-friendly website became even more critical in 2016. Aside from greatly helping your SEO, people just do not like trying to do anything on a website that is not mobile responsive. The antiquated look immediately takes away from some of the company’s credibility, and consumers don’t feel they have the time to mess with a website where the info they need isn’t clearly in view, or just a few clicks away. Anyway, stepping off our soapbox here, in early April, Google started warning site owners that their page was not mobile-friendly. We learned this year what Google considers the top three factors for ranking high in searches. This seemed like an early (or late) Christmas miracle as Google is known to have more than 200 ranking signals, and they don’t usually reveal any of them. Right off the top, links and content are highly important – in fact, Google named them the top two most important factors for SEO. It was also leaked that RankBrain, Google’s artificial intelligence system, was third most important ranking signal. For years, it had become common practice for content managers, bloggers, and so on to publish links in exchange for free products; however, in 2016, Google warned bloggers they could not have links pointing readers to sites of something the writer got for free. 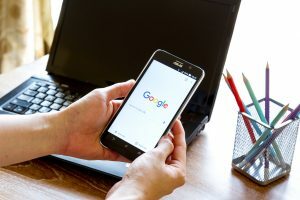 A month after the warning was issued, Google started doling out penalties to people not following through with the request. At the end of the day, there really is no, “getting around Google.” How a company ranks on the #1 search engine is very important to the digital success and marketing of any brand, restoration industry included.